HFD can play a complementary role in the high frequency part of the active power filter. According to the principle of the three order passive filter, the high frequency filter can be treated as low impedance in the 2kHz~30MHz band, so as to absorb a part of the high frequency harmonics, which can achieve the filtering function of the high frequency harmonics. Surge protection device with the function of class III surge protector, its flow capacity can reach 15kA (8/20us), which can effectively prevent the damage to the equipment from lightning surge. 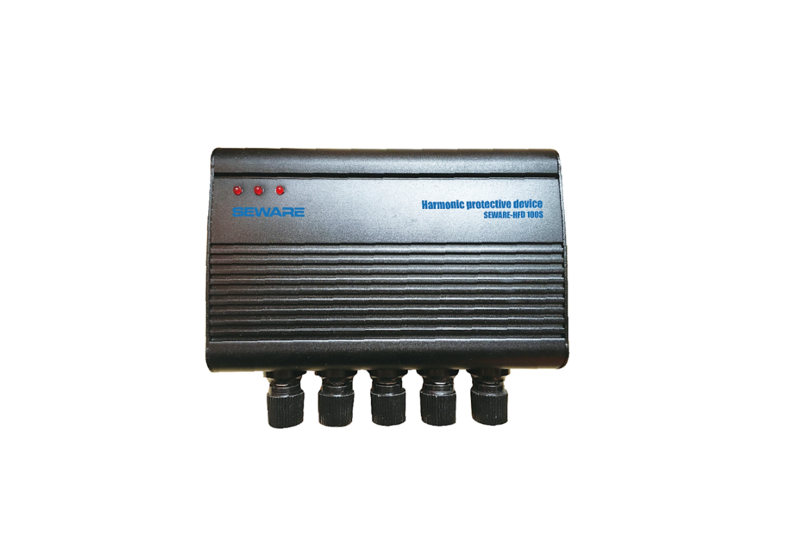 It has the function of measuring and displaying the total harmonic content and the effective value of the three-phase voltage. When the harmonic content exceeds a certain value, it will send out a flashing and beep alarm. No independent power supply is needed, which can achieve a compact structure. Use guide railfor installation.It is durable, safe and reliable.